For crew members aboard the International Space Station, the view doesn’t get any better than looking at the Earth from the station’s Cupola. The dome-shaped module’s seven panoramic windows offers them a unique view of our magnificent blue planet. It was from the Cupola that NASA’s eighth collaboration with IMAX came to life. ‘A Beautiful Planet’ stars Earth as seen from space by astronauts and cosmonauts aboard the orbiting laboratory. Shooting spanned multiple expeditions with NASA astronauts Kjell Lindgren, Terry Virts, and Barry “Butch” Wilmore as well as former NASA astronaut Scott Kelly volunteering as filmmakers during their time on station. They were each selected and trained by director Toni Myers and director of photography James Neihouse. 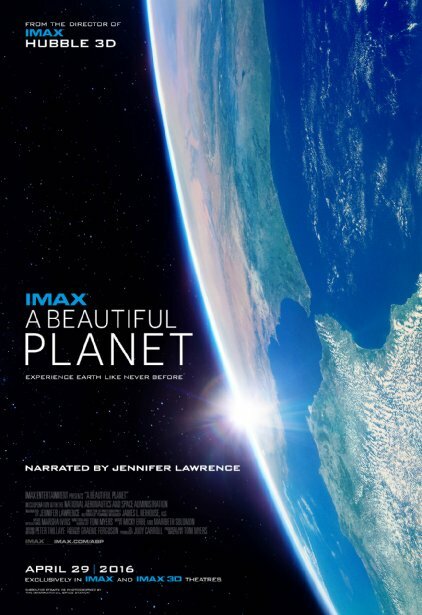 Featuring footage of our home planet shot over 15 months, the documentary highlights the effects humanity has had on the globe over time. From the gradual depletion of the Colorado River Basin to the effects of greenhouse gases in the atmosphere to deforestation, all are visible from space. Understanding and appreciating the necessities for sustaining life is one of the major themes in A Beautiful Planet. From the Cupola, or what the film calls “a window unlike any other,” the astronauts show us a glimpse of an Earth which is vibrant in nature, and also an Earth that is fragile. They hope to inspire positive change on our home planet as a result of their work. “I think that’s why we spend so much time taking photos and sharing them on social media, and it’s a reason why we were so excited to be on the IMAX team — to be able to share that space station experience, that unique perspective of our home, the Earth, on the big-screen,” said Lindgren. Camera selection was critical to capturing the stunning views of Earth desired for the documentary. It took the production team three years of testing to determine what would work best in space. The equipment launched aboard a SpaceX Dragon spacecraft from Cape Canaveral Air Force Station in Florida on Sept. 20, 2014, and filming wrapped in December 2015. Because of research and other duties on station, much of the filming was done by crew members during their personal time on nights and weekends. 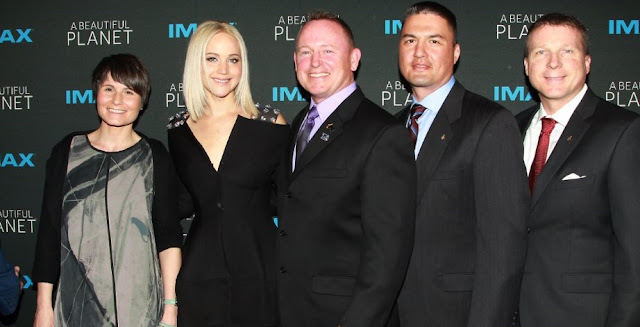 It was narrated by actress Jennifer Lawrence. Astronauts Samantha Cristoforetti of ESA (European Space Agency) and Kimiya Yui of Japan Aerospace Exploration Agency, and cosmonaut Anton Shkaplerov of Roscosmos also contributed imagery for the film. For 15 years, humans have been living continuously aboard the International Space Station to advance scientific knowledge and demonstrate new technologies, making research breakthroughs not possible on Earth that also will enable long-duration human and robotic exploration into deep space. A truly global endeavor, more than 200 people from 15 countries have visited the unique microgravity laboratory that has hosted more than 1,700 research investigations from researchers in more than 83 countries.